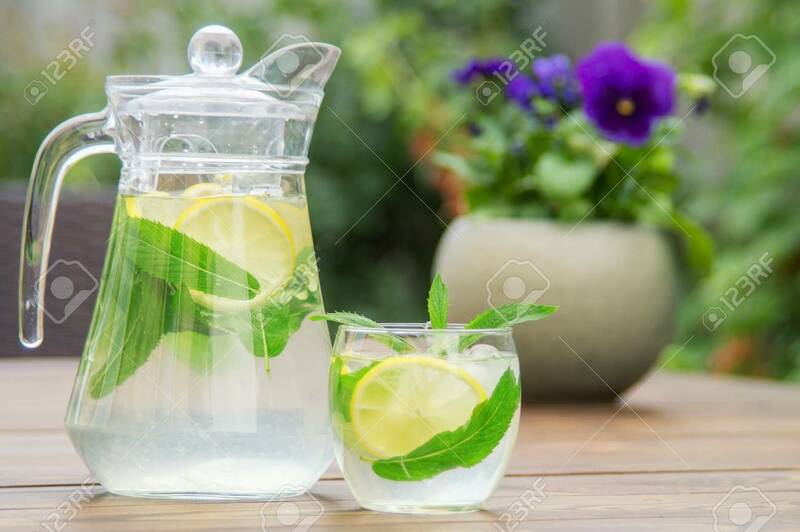 Fresh Homemade Lemonade With Ice And Mint On The Table With Copy Space. Lizenzfreie Fotos, Bilder Und Stock Fotografie. Image 104353114.